i-glamour carries mirrors of all shapes, sizes and colours. 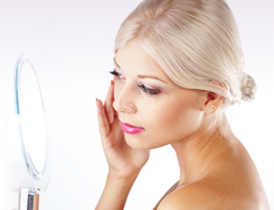 Our amazing range includes magnifying mirrors for brow maintenance, makeup application and inserting contact lenses. Swivel mirrors, lit or unlit, are ideal for makeup, while our compact mirror range is perfect for handbags and travel. Fast delivery nationwide in Australia with i-glamour.